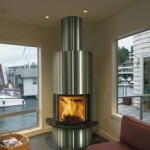 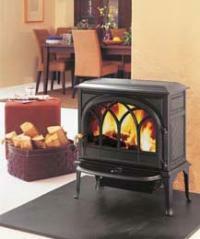 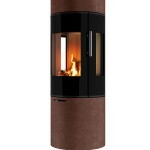 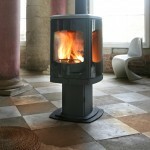 Freestanding stoves are those not installed in an ingle neuk fireplace or as an inset stove. 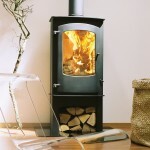 Normally this means setting the stove against a wall, with the flue either going out the back and through the wall or directly from the top of the stove and up to the ceiling then through the roof with a twin wall flue. 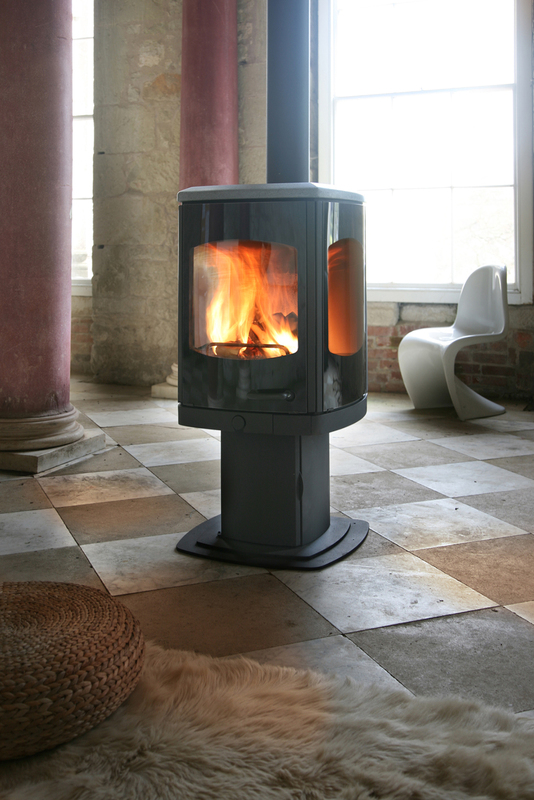 In a timber frame house, to reduce combustible clearances this may require the creation of a fire check directly behind the stove. 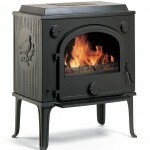 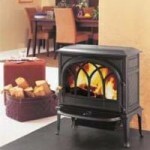 The following ranges are examples of freestanding stoves.